At MWI, we are always talking about win-win partnerships. Though it might sound cliche, we’ve found it’s the best way to grow a digital marketing agency. We’re looking for partners who are passionate about what they do, have drive to accomplish their growth goals, and most importantly, communicate well. 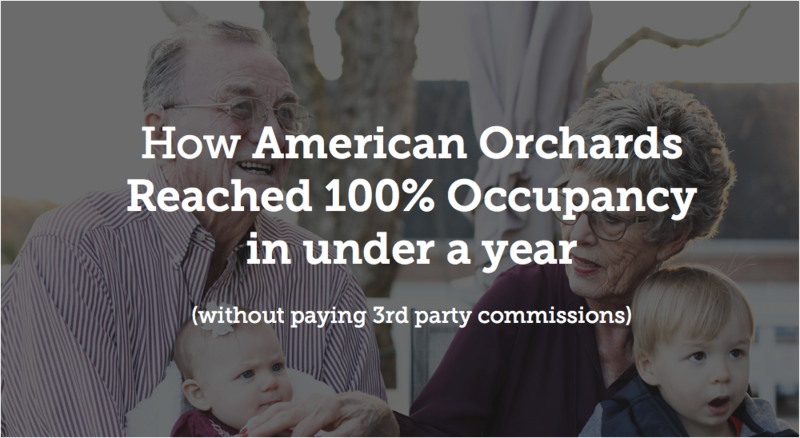 American Orchards is an assisted living facility in Gilbert, Arizona. They came to us with a goal to fill their facility within one year and do it without using placement agents (who take a hefty commission). Together, we did it! This allows MWI to be completely data driven. If you don’t track properly, you end up guessing on what’s most important for your digital strategy. Digital marketing shouldn’t be done by a gut feeling, or even what has worked for others. These types of assumptions lead to lazy marketing, and we all know the type of results that yields. We leverage your own company’s data to know where to effectively spend money to maximize results. You have to show up on Google. If someone is searching in maps, you want your business to be listed with helpful information. The easier it is to see and access information about your business, the more people will visit your website. Making sure your physical location shows up on google and getting a knowledge graph like the one below are crucial steps for every local business. A favicon or favorite icon is the little icon (typically a logo) displayed on the individual tab of your browser. To learn more, here is a good article speaking to the benefits of a favicon. For websites that collect information, Google likes to see that you are doing that securely. That is what SSL ensures. 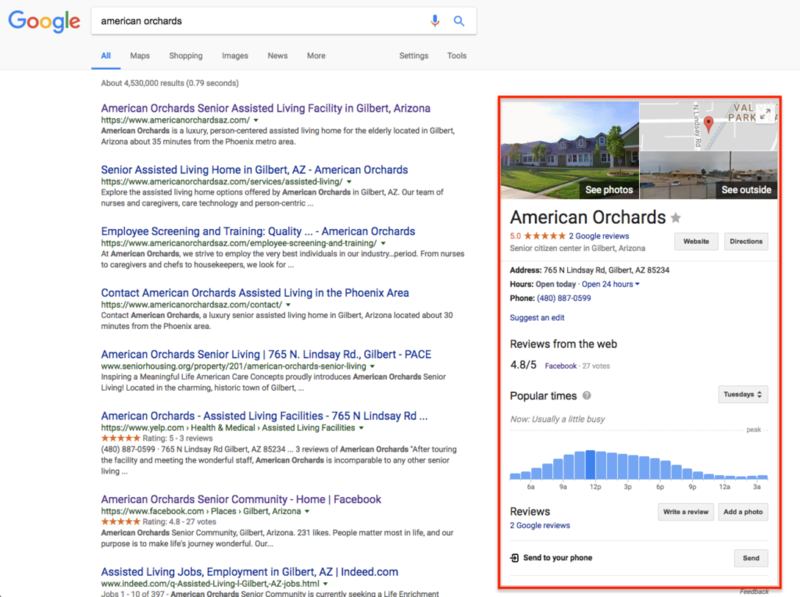 American Orchards has a form you fill out with personal information on the website and we wanted to make sure Google considered this a “good user experience.” That alone can lead to an increase in overall ranking. For more info, see these articles from Google and Search Engine Land. American Orchards had content that we in the industry call “thin.” For the different pages on your website, a general rule of thumb would be to have at least 500 words. However, don’t just add words to have them. Have good quality content that users will appreciate on each page of your website. An exception might be a “contact us” page where a a small amount of content makes sense. All of these things combine allowed us to succeed in our partnership with American Orchards. At MWI we believe that strategies have to be custom tailored to what the business needs and what the data is telling us. American Orchards trusted our approach for digital marketing and provided us with the necessary information about their business to take it to the next level. We look forward to building upon our current work with them and growing our partnership. We are an advocate of their brand and are proud to be a part of their team.